Thanks to new USB receptacles, charging your devices doesn’t have to be a hassle or mess up your house anymore. Whether it’s the confusing mass of cords hanging off your computer or the chargers that hog your limited outlet space that have you frustrated, the new chargers will simplify your life. Even better, they charge faster. These receptacles combine electrical outlets with USB ports. Instead of having to plug the charger into the wall and then the device, you can plug the USB cord directly into the wall. They’re available as multi-USB and power outlets, or as USB only. Their labels indicate the voltage they provide for portable devices. 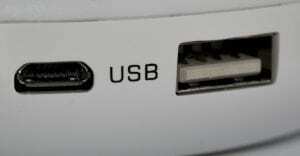 A two-outlet receptacle with 10 volts of USB power will supply 5 volts to each USB outlet. The receptacles cost a bit more than the standard outlet and unless you’re an experienced do-it-yourselfer, you should hire an electrician to install them. You could replace each outlet in your home with a USB-enabled device, or put the USB receptacles in strategic locations. One near the bedside table, the couch, the desk in a home office, the garage and the kitchen would free up the outlets, unclog the power strips and make your laptop portable again. Older electronic devices typically use heavy, black, bulky power supplies that would continue to draw energy even if they were unplugged from the device. They also take up a lot of room in drawers and are easy to misplace. Newer power supplies with the Energy Star label don’t use vampire power, but they’re still easy to lose and confuse with other chargers. The USB outlets eliminate the need for power supply cords even for older phones, cameras, and music players, and cut vampire or standby power consumption. For a small investment, you can install USB receptacles that will modernize the way you charge devices at home. To learn more, contact Rinaldi’s Energy Solutions.